Spammers are a huge problem with forums these days with people in developing countries being paid to spam forums with links in order to try and increase search engine rankings for their employers websites. At Web Wiz we understand that spam is a real issue with forums and have developed a range of anti-spam prevention measures and tools within the Web Wiz Forums software. You do not need an API key but if you do enter one it allows you to submit any spammers that do get through to StopForumSpam.com in order they do not spam other forums. Running a 9.x WebWiz forum. All new registrants are in the Pre-Member group and have to make one approved post to become full-fledged members. What actually happens is that as soon as Pre-Members post anything they change their members group and - without even this one single post being approved - can start litering the forum unhampered. It seems that the system takes into account only the number of the posts for the ladder-based groups without checking the other stipulations/conditions. This is clearly a bug. 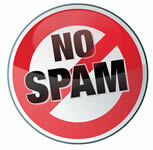 This post is in relation to the new Anti-spam Tools in Web Wiz Forums version 10. Web Wiz Forums 9.x is no longer support as it was replaced with version 10 over 2 years ago now. Version 10 now uses a Points system for ladder groups rather than using the Post count as in version 9.x. 3. Disable links, images, and signatures for the new members with less than 10 points in the new members group. Many spammers who do signup realise within their first post they can not have links and signatures and so move to easy targets. Most spammers are paid for the number of links they post within forums and so within weeks you would see spam drop as these spammers move to easier targets. If you also get allot of spam on one particular subject you can also use the spam filter to reject or require the approval of posts that match the criteria set in the spam filter. Thank you for this elaborate answer! I just wanted to make sure that letting the non-approved posts count as posts and correspondingy points didn't slip into the new 10.x versions. Unfortunately, it did. Unapproved posts add points to your account and Pre-Members advance to full Members. This is no good for the security.